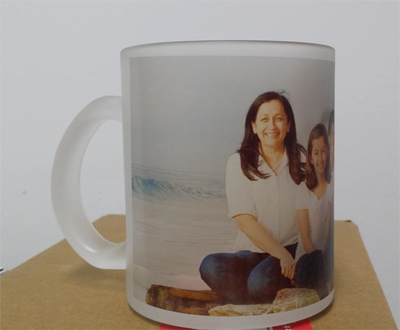 Tired of printing on ceramic mug all the time? Fret not as we are not able to print on glass. Made of reinforced frosted glass, our glass mugs can withstand cold and high temperatures with no problem of cracking. It has a capacity of 12oz.